GARDENERS’ ASSOCIATION AUTUMN SHOW: takes place on Saturday 9 September from 2.30 – 4.00 pm in the Victory Hall, entrance £1. Do come along to see fabulous displays of vegetables and flowers. Why not have a go at the Competition Cake? This competition is kindly sponsored by the Balcombe Tea Rooms and the winner will receive a £10 token for tea and cake at the Tea Rooms. The recipe for the cake is on Page 17 of the Year Book. You don’t have to be an expert to enter your produce either, just an enthusiastic gardener who is proud of something that has grown in your garden! The more entries we have the better the show, email entries to bgacontact@btinternet.com. The schedule is in the Gardeners’ Year Book, or call 811800 if you do not have a Year Book. ST. CATHERINE’S HOSPICE WALK: takes place on Sunday 10 September, with walkers able to register in the Victory Hall from 9.00 am onwards. Every year, the walk, organised by Haywards Heath Friends Group, one of St Catherine’s voluntary fundraising groups, brings together families and furry friends, to ramble through stunning Sussex countryside before enjoying homemade tea and cake. Walkers can set off on one of four different walking routes covering four, seven, nine, or 12 miles. Taking on the four mile route? Don’t forget to keep a lookout for the special nature quiz trail for under 12s while you’re walking! Every year, many people enjoy walking past iconic Sussex landmarks like the Ardingly Reservoir and the Viaduct, whilst raising funds for one of their local hospices. The Balcombe Walk is free to enter but people are encouraged to raise sponsorship to help St Catherine’s provide expert end of life care when life comes full circle. Ready to lace up your walking boots? Sign up online at: https://www.stch.org.uk/support-us/events-calendar/balcombe-walk/ or call St Catherine’s Community Team on: 01293 447361. You can also sign up on the day. BUBBLY, BOULES & BRUNCH: is on Sunday 10 September from 12 noon until 4.00 pm. Tickets are on sale in Threads now, £10 for members, £13 non-members. BALCOMBE CLUB’S QUIZ: is on Sunday 10 September at 8.00 pm in the Club, teams of four. 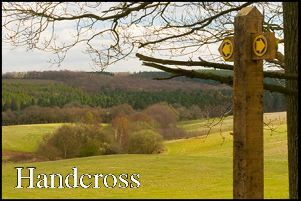 The HISTORY SOCIETY: is back after the summer with a talk on “Ashdown Forest – Landscape of Sussex” on Wednesday 13 September at 8.00 pm in the Victory Hall. Entry £1 for members and £3 for guests. WEIGHT OFF WORKSHOP: - Are you looking for support towards a lifestyle change? Then sign up for the 12 week weight management programme which will help you to feel healthier and fitter. The next course will start on Wednesday 20 September 1.00 pm – 3.00 pm in Bramble Hall. The cost is £20 for the whole course. The session will be one hour of healthy eating discussion and then one hour of exercise. Please wear comfortable clothing. To book your space or for more information contact the Wellbeing Team on 01444 477191 or email wellbeing@midsussex.gov.uk.